February 1 is First Fridays and what a way to kick off the month! Photo LA is also happening in Santa Monica – make sure to see our recent web post on this photography expo! See our list of food trucks on Abbot Kinney, including The Brig Venice. It goes from one end of the street to the other so it’s easier for you to plan! 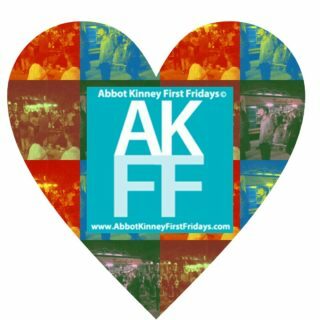 Abbot Kinney First Fridays was the FIRST independent blog website that regularly spread the word about the monthly event in Venice. Why? Our Editor loves Venice and wanted to help make the event a success. When it first started, about 30 people came to it- for realz! Yes, this blog put First Friday on the map! If you like what we write about then lend some support here so we can keep on bringing the best food scene art, culture and more!